This simple magic milk science experiment really is magical to watch. 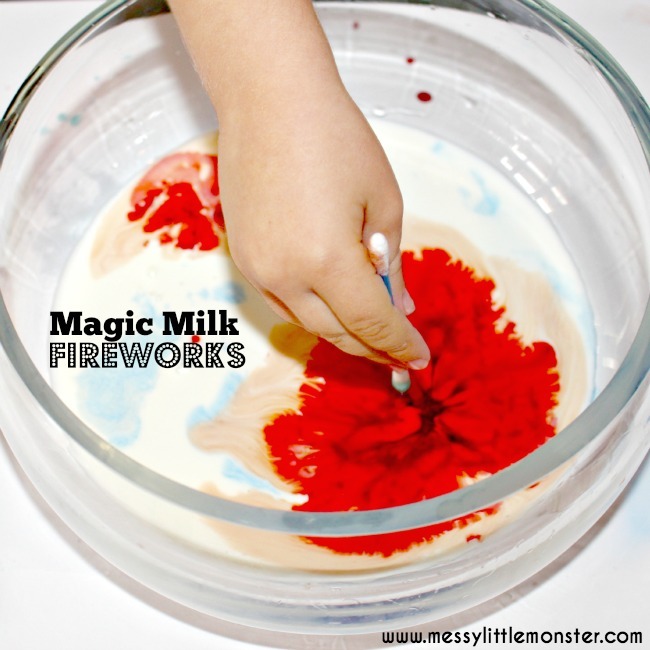 Add food colouring to milk plus one simple 'magical' ingredient and watch as the colours explode and swirl about like fireworks. Looking for more FIREWORK activities? Take a look at our yummy firework biscuits, have fun painting and eating firework toast or get creative with firework playdough. STEP 1: Pour full fat milk into the bottom of a dish (enough to just cover the bottom). STEP 2: Add small drops of food colouring to the milk. STEP 3: Dip your cotton bud into washing up liquid and then into the milk (hold it still). Watch as the colours quickly dart away from the washing up liquid and start to swirl around the milk. Perfect fireworks! 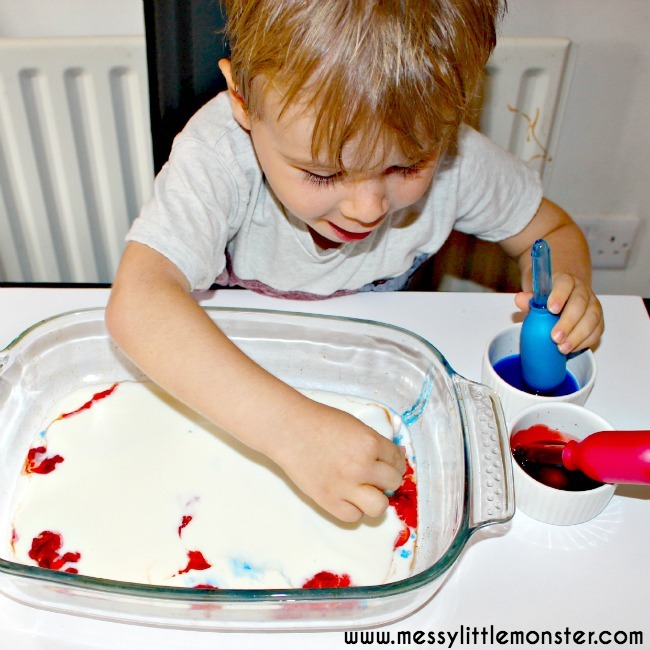 Harry was totally amazed by this experiment and loved making the colours move around the milk. He experimented with dipping the cotton bud in different places and he encouraged the colours to swirl and mix around.